How can I do this in Maple? For context, b is a base and a1 and a2 are digits in a b-adic number where a1 is bigger than a2. Solutions to these equations correspond to numbers that have a particular property. I have posted this question on math.stackexchange, but saught an algebraic approach rather than a computational one. 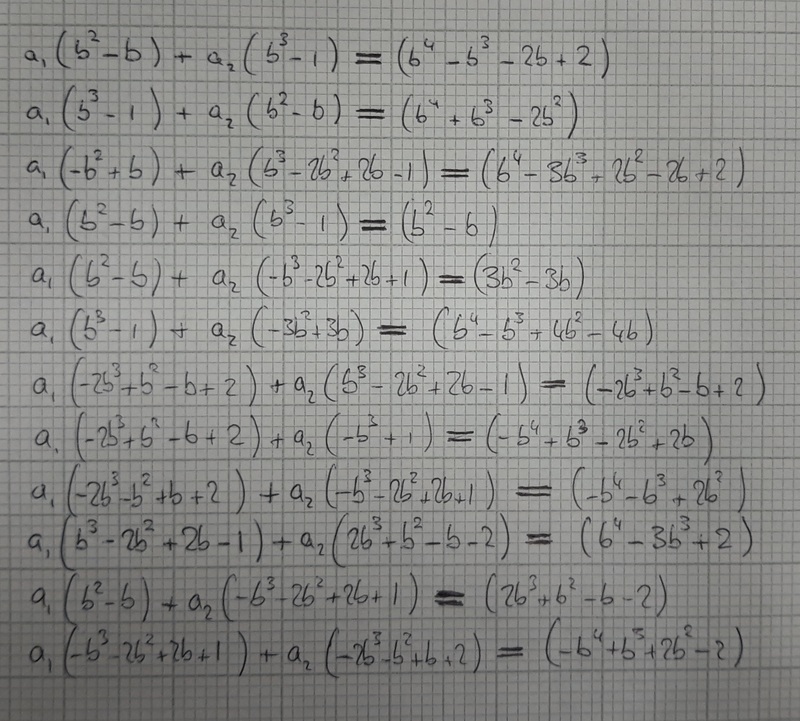 Here it is shown that a1 and a2 are linear functions of b. This is where the families of solutions come in. Mathloves answer is detailed and potentially useful in regards to formatting the answer.